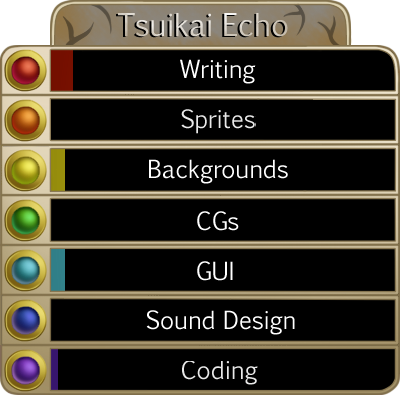 As you probably have noticed, Tsuikai Echo is not a Kinetic Novel and will have quite a few choices which may lead to four different endings. 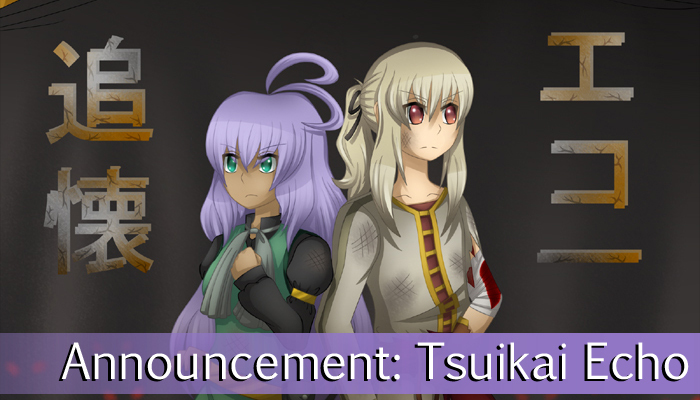 There’s also a gameplay mechanic that has a lot to do with the VN’s name, but I’ll tell you more about that in the next posting, which will be about our double-ahoge protagonist Estella. (ﾉ≧∀≦)ﾉ And what about the progress? 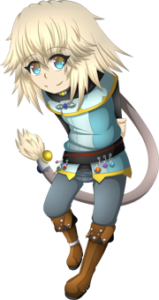 Alrighty, I’ll go back to working on the White Day Special now!